When will someone tell him he works for us? He has no respect for the office of POTUS. Not very cool Barry. We, er, uh, THEY, hired you to work every day for the next four years 24 hours a day as needed. That means following traditions. You’ve already screwed up with Britian. Get a clue about what the job is really about. What the hell are you doing taking every weekend off, having parties during the week, while the country is falling apart? Your family does NOT come before your country. You signed up for this job, now do it! You’ve failed miserably so far. 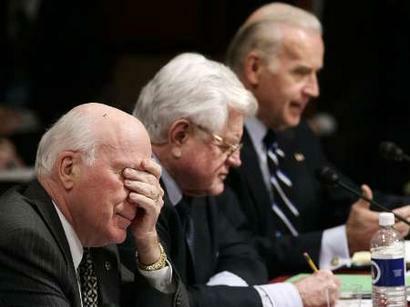 Oh yeah, and sending Joe “the goof” Biden only adds insult to injury. Joe “the gaffe” Biden is at it again. In this case we can call him Joe “the genius” Biden for his latest claim that there are moderate Taliban that we should seek out and talk to. 5% incorrigible, 25% undecided and 70% capitalists. So according to Joe, only 5% of the Taliban are radicals and the rest just need a little understanding. Must be nice in his little world, all unicorns and butterflies. Meanwhile, back in the real world…. KABUL (Reuters) – Afghanistan’s Taliban on Tuesday turned down as illogical U.S. President Barack Obama’s bid to reach out to moderate elements of the insurgents, saying the exit of foreign troops was the only solution for ending the war. Obama, in an interview with the New York Times, expressed an openness to adapting tactics in Afghanistan that had been used in Iraq to reach out to moderate elements there. “This does not require any response or reaction for this is illogical,” Qari Mohammad Yousuf, a purported spokesman for the insurgent group, told Reuters when asked if its top leader Mullah Mohammad Omar would make any comment about Obama’s proposal. Mr. Obama. If you have an original thought in your head, you will put Uncle Joe back in the basement where he can’t hurt anyone and can let that big genius sized brain of his have a rest. His advice is not helping you look any better to the rest of the world. The Taliban are laughing at you. They didn’t find President Bush so funny. From the New York Post. And in case you don’t know Kirsten, she doesn’t usually defend “the right”. Barack Obama‘s choice of Joe Biden as his running mate prompted a small wave of warnings about Biden’s propensity for gaffes. But no one imagined even in a worse-case scenario such a spectacular bomb as telling donors Sunday to “gird your loins” because a young president Obama will be tested by an international crisis just like young President John Kennedy was. Scary? You betcha! But somehow, not front-page news. Again the media showed their incredible bias by giving scattered coverage of Biden’s statements. There were a few exceptions. On MSNBC’s “Morning Joe,” co-host Mika Brzezinski flipped incredulously through the papers, expressing shock at the lack of coverage of Biden’s remarks. 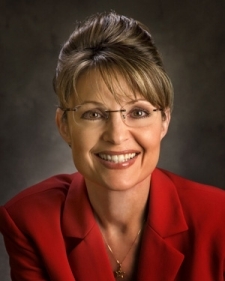 Guest Dan Rather admitted that if Palin had said it, the media would be going nuts. The stock answer is: “It’s just Biden being Biden.” We all know how smart he is about foreign policy, so it’s not the same as when Sarah Palin says something that seems off. Yet, when Biden asserted incorrectly in the vice-presidential debate that the United States “drove Hezbollah out of Lebanon,” nobody in the US media shrieked. (It was, however, covered with derision in the Middle East.) Or when he confused his history by claiming FDR calmed the nation during the Depression by going on TV, the press didn’t take it as evidence that he’s clueless. And Biden is the foreign-policy gravitas on the Democratic ticket, so his comments are actually even more disconcerting. Biden is Back! Please, Keep Talkin’ Joe !Updated Video! I hope they let Joe loose to speak his mind every day. This is pure gold. In his own words. Listen to this. !!!UPDATE!!! Also, Dan Rather Jumps out of Obama’s tank!!! There’s not much to add to that. He just gave you the MAIN REASON for voting McCain/Palin! Keep talkin’ Joe! Michelle Malkin has it too. Ed Morrissey has a great piece at Hot Air.